As in most other Asian markets, pop music has a real stranglehold over the mainstream - Mando-Pop, Canto-Pop, J-Pop, K-Pop - glossy, inoffensive music that satisfies the censors as well as the ‘bland criteria’ necessary for across-the-board media coverage. Despite the diverse musical heritage of China, mainstream pop is almost entirely informed by western music, from the basic pop song format through to instrumentation and lyrical content, although general production quality is still fairly poor. The Chinese audience, therefore, are already well familiar with all of the stock traits of western music: Guitar solos, crap raps in the middle-eight of pop songs, warbly diva vocals, key changes at the end of ballads, pseudo-rock bands, pseudo-hip-hop bands etc. Your average western band, therefore, does not sound totally alien, it's just that no one is willing to spend money promoting an international (and therefore niche) act when 90 per cent of CDs are counterfeit and an even higher percent of online music is pinched. It’s all about hitting the mass market straight out of the box and selling big, if you want a chance of making money. Such a high piracy rate leaves you with a legitimate physical market of only $86m a year (2006 figures), making China - a country of 1.3 billion people, remember – into only the 20th largest market in the world. Physical has never really had a good time in China. The arrival of western product in the early 90s came courtesy of ‘saw-gashed’ CDs: Excess stock and deleted titles from western majors attempting to avoid taxation and disposal costs. These CDs had their cases cut to mark them as defective and were then shipped in to China through free-market economic ports like Guangzhou, only to end up on the black market. An end result that can be seen as a partial ‘shooting-in-the-foot’ for the western majors who then had to come in and fight against the pirate networks they inadvertently helped set up. A standard pirate CD retails for about 60p, whereas the legitimate product goes for around two to three times that - £1.50 to £2. This obviously makes piracy a big business with plenty of people profiting, plenty of vested interests and not a whole lot of will to change. There is the occasional very public haul of counterfeit CDs, but realistically this is already a lost battle when you consider the impending end of the CD format. CD manufacturing plants are mainly state run but this does not deter rampant ‘third shift piracy’ in which, once the two normal daily factory shifts are completed, a third one goes on through the night to make the same product for the pirate market. That’s right, state-run piracy. As with most areas of business, the retail sector is a black hole of statistics, where misinformation and mendaciousness are key pirate protection devices. A visit to China will clear this up for you nicely as you only have to wander around a few streets and speak to a few ‘legitimate’ retailers to see the impossibility of gathering any meaningful statistics. Even legitimate retailers like FAB stock some pirated goods and it takes a very keen eye to spot the difference in some cases, although most pirated CDs are laughably poor quality. As you might imagine in this environment, the major labels are shadows of their western motherships and there is a gaping hole where the independent record label scene should be. While the traditional record label model isn’t exactly going through a golden age in the west, it never even had a golden age in the Middle Kingdom. In order to survive it has become necessary for labels to take over an artist’s entire life – recording, publishing, management etc. – obsessively tapping all revenue streams in order to survive. You can count the number of recognisable independent labels on a pair of chopsticks. 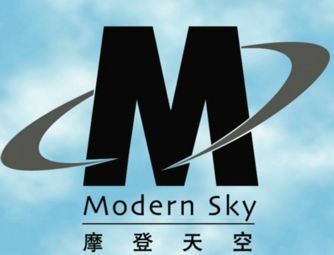 Modern Sky is one such label. It has just celebrated its tenth year in existence and, much like its rabbit warren of an office in West Beijing, its business model is a convoluted arrangement of media company, record label, artist management and design house - a model that has allowed it to survive in this most hostile of environments. In the process of surviving it has also amassed a significant percentage of the Chinese rock catalogue. Physical releases are practically a loss leader for Modern Sky with digital revenue also remaining a minor consideration. Label Manager Meng Jinhui explains that they normally take over management, allowing them to promote the hell out of the artist rather than the album. Resultant brand co-operations with these artists and the label itself generate the bulk of Modern Sky’s income, alongside consultancy for mobile content and a wide range of video production and design projects. You have to be versatile to survive for 10 years in China. The ‘big four’ majors are all over here in some form or other. However, like all foreign companies wanting to operate in China, they have had to enter into joint ventures with Chinese companies, yielding 51 per cent of the new China collaboration in the process. Warner Music Group created Warner Music China, EMI joint ventured with Push Typhoon, SonyBMG with Shanghai Audio And Visual Press, and Universal Music partnered with Shanghai Media Group. But with regards to international repertoire, they stick very much to front line releases and global priorities with the occasional catalogue title. Universal Music China, for example, is pushing its reggae catalogue throughout the year to see if it can find any sort of audience. Danny Sim, international marketing manager at Universal Music China, is optimistic about growth in western music sales. UMC will release 40 per cent more international titles this year - bringing it to roughly 100 albums – and expect to see a 10-15 per cent growth in revenue. Sim puts his optimism down to: "a) More people getting a better education, and therefore more people with English as a second language, b) More western music spread through the internet, and c) More media channels will become western music friendly." Sim has neatly summed up the problems facing western music marketers in China. While there is already a smattering of English in a lot of homegrown music, a full English language track is a different thing altogether. Learning English is a high priority for your average urbanite and consuming English language media and entertainment is a natural part of this. There is some way to go, however, before this manifests itself in legitimate music sales. As Sim points out, a good starting point would be an increase in western music coverage in the media. As a niche concern, very little western music is played on China’s state-run radio. An exception would be a station like Beijing’s HitFM which plays US and UK Top 40 hits to an audience of English language students, expats and western-trend-conscious young people. This is an exception, though.